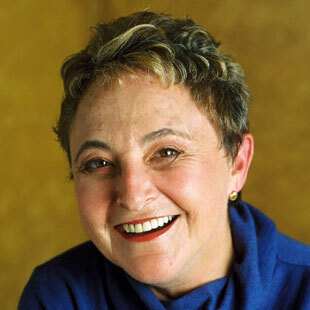 Sylvia Boorstein is one of the world's most esteemed teachers of Buddhist wisdom and practice. In this exclusive online retreat, she offers a summation of her years as a preeminent teacher of lovingkindness. Lovingkindness is called metta in Pali, the original language of the Buddha. Metta is a derivative of the word for "friend." "Although metta has often be translated into English as 'lovingkindness,' " Sylvia says, "I like thinking of it as a friendliness practice, the cultivation of a mind that is so saturated with good will that it responds uniformly to all situations with benevolence." Few things in life are more important than benevolence, not only toward others but also toward ourselves. And this is where this Lovingkindness retreat begins. "The first recipient of wishes of my good will needs to be me," Sylvia reminds us. "We need to be relaxed from the mind’s alarmed state in order to pass it on." The retreat, delivered by email, then leads us through a series of lessons and meditation practices that show us how to have an abiding good will toward friends, family members, colleagues, people we see on the street and in stores, and even those whom Sylvia calls "difficult people" — people who have hurt us or simply rub us the wrong way. "Metta is not about erasing emotional responses," Sylvia says. "I’m sure I have a wider palette of emotional responses available to me now that I did 30 years ago when I began this practice. I think we all want to be able to love profoundly and to respond to and engage fully with people and situations we find problematic on behalf of a more peaceful and just world. I’m positive we do that best when our minds are at ease and unconfused." This Lovingkindness Online Retreat will help you live with ease and less confusion. It offers a a well-rounded and expansive view of a universal human desire to love and to love well. The retreat consists of 12 emails that offer Sylvia’s personal experiences and insights, along with ancient, timeless recitations that are said to help develop feelings of good will. Each includes a link to a short audio component hat has Sylvia’s calm yet lively voice reviewing the day’s practices. Sylvia Boorstein's inimitable teaching style is chock-full of timeless wisdom woven into her own, unique insights, and delightful stories.